Having a reliable drain and sewer system is often taken for granted until your sinks won’t drain properly and sewage is backing up. Whether you live in an older home and want to install a new drain or sewer line to prevent a major plumbing problem or you found out that you have bad lines the hard way, the plumbing repair experts at Eagerton Plumbing in Jacksonville can help. Installing a traditional sewer line involves digging a large trench and laying pipe. There is another option that uses a special boring device to simultaneously demolish old pipe and install the new one without requiring a trench. Trenchless drain and sewer line installation is great for preserving landscaping, driveways, and walkways. 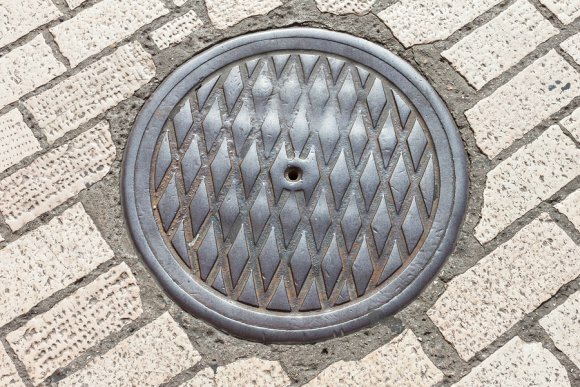 If you suspect you are in need of a new drain or sewer line, schedule a sewer line inspection with a plumbing repair company and then discuss your replacement options. If you’re not in love with your kitchen, you should be. 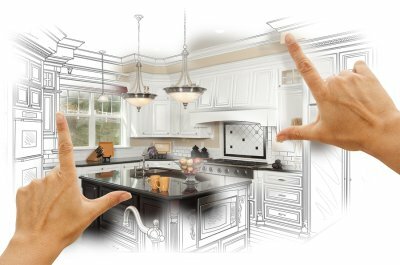 Not only will a kitchen remodel give you the opportunity to have the dream kitchen you’ve always wanted, but it will also increase the value of your home and help you pocket more cash should the time ever come to sell. When you work with a professional kitchen re-modeler , the sky’s the limit in terms of what’s possible for your new space. If you’re planning a complete remodel and thinking about changing the layout of your kitchen, discuss these popular layout styles with your kitchen re-modeler. For massive storage space and prep areas, consider the U-shape kitchen layout. This kitchen design provides a massive expanse of counter and storage space as well as great flexibility for dining, cleaning, and work stations. One of the classic design layouts of all time, the L-shaped kitchen layout forces foot traffic out of the work area so you are free to prep, cook, and clean in peace. The L-shape layout works for kitchens of all sizes, though it is particularly popular among small kitchen. If you have a small kitchen, you may want to consider a corridor-style or galley kitchen. The corridor kitchen has two straight runs on either side. The drawback to this kitchen design is traffic flow, but it may be the best option for a small kitchen. If you have a large kitchen and want to break up the different areas, consider a zone design. With a zone design you’ll have a separate work station for cooking, eating, and cleaning, allowing space for several people inside the kitchen all at once without feeling cramped or crowded. 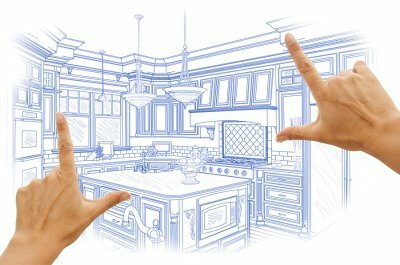 Even if you aren’t in the market for a total kitchen re-do, a kitchen re-modeler can make one or two updates to give your space a fresh new look and feel. Schedule a kitchen design consultation today to explore your options and put your ideas down on paper. Tankless water heaters are almost too good to be true. And yet, despite offering unlimited, on-demand hot water, these heaters are actually quite simple in design. When hot water is needed, water runs through several feet of tubing inside the water heater where it is heated by a super-efficient heating element to a desired temperature. All of this happens in a matter of seconds, providing you with almost instantaneous hot water. Watch this video to learn more about the inner-workings of a tankless hot water heater. If you’re interested in a tankless water heater for your home or business, contact a plumbing company in Jacksonville that specializes in the installation of tankless water heaters . Professional installation is the only way to ensure you utilize all the benefits of a tankless water heater, including unlimited, on-demand hot water and lower energy bills. The kitchen is the center of the home and the hub of your family’s activity. If you aren’t totally in love with your kitchen, consider a partial or complete kitchen remodel. When you work with a kitchen remodeler in Jacksonville , you can bring your ideas to life and have the dream kitchen you’ve always wanted. If you aren’t quite sure where to begin, or if you’re simply looking for inspiration to beef up your initial design, consider these popular kitchen design ideas. If your style tends towards the warm and welcoming with a pinch of down-home country comfort, you may be interested in a farmhouse-style kitchen. These kitchens tend to focus on natural materials, unpretentious design, and large cooking and entertaining spaces. One classic element of the farmhouse-style kitchen is the deep, wide basin sink often made of porcelain or stainless steel. If you appreciate the practical, lived-in look of the farmhouse-style kitchen but want something a bit more chic, consider a rustic design for your kitchen remodel. Rustic kitchens make use of local woods and flora to bring the outside in. Exposed beams, natural lighting, warm colors, and reclaimed furniture are all quintessential elements of the rustic kitchen. For homeowners who prefer a more eclectic, modern look, the industrial-style kitchen is a very popular design consideration. Industrial kitchens offer the warm, lived-in look of rustic and farmhouse-style kitchens while also incorporating more modern furnishings and materials. Your Jacksonville kitchen remodeler can recommend the best materials to give you the stylish, utilitarian industrial-style kitchen you’ve always wanted. For a clean, classic look, you can’t go wrong with a kitchen completely dressed in white. When designing a classic white kitchen, be sure to include plenty of natural light and rich wood and metal accents to warm up the space. This is also a great style to carry over into your bathroom design to give your home a more cohesive feel.